How many times have you run your hand under a faucet head to test the temperature of the water manually, only to discover it is scorching hot or freezing cold? What if you could skip the blind heat check and see right away if the liquid is warm, cool and/or too extreme to touch? 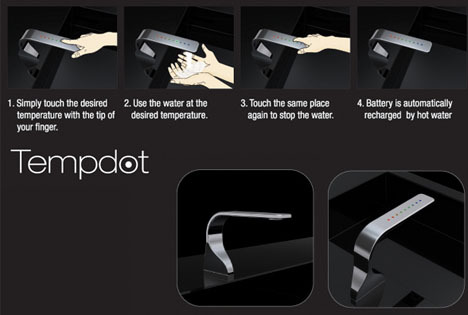 Titled Tempdot by its creator Jaeseok Han for clear reasons, the essence of this innovation revolves around the circular dots that line the top of the faucet and illustrate the temperature of the water with a range of bright red to bright blue dots for very hot and very cold water respectively, with green in the middle to indicate a safe lukewarm zone. And the power? 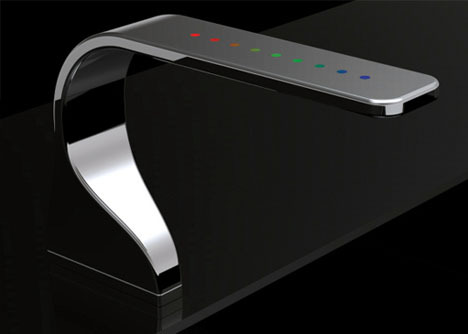 No worries: the flowing water recharges these LED buttons. 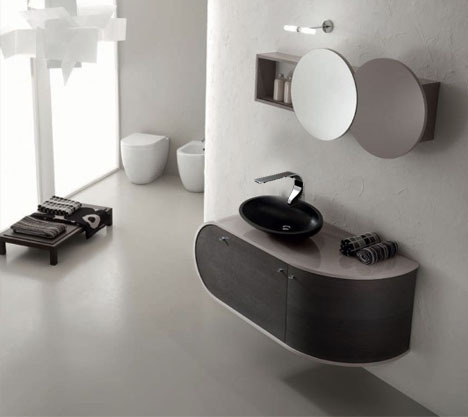 But it gets better: no need for extra parts like handles, a stem or a sprayer when you can simply touch those same dots to control the flow and spread as well as the temperature – fewer (leaky) moving pieces to handle than even the best compact faucets, and the sleek look of a single smooth chrome surface … a futuristic, high-tech, all-in-one design fit for any modern bathroom or contemporary kitchen sink.